The Florida Board of Governors on Thursday approved UCF’s ambitious plan to attain the status of “Preeminent Research University” within five years. The unanimous vote formally recognizes the University of Central Florida as an “Emerging Preeminent Research University” and authorizes the release of an additional $5 million in state funds to the university. “With your ongoing support, UCF will help advance Florida to national prominence as we make Central Florida an extraordinary place to study, to work, to play, and to live,” President John C. Hitt told board members gathered at New College in Sarasota. With Thursday’s vote, UCF and the University of South Florida have now been awarded the newly created designation of “Emerging Preeminent Research University” by meeting certain quality benchmarks established by the state. That designation allows UCF to work toward the same preeminent status now held only by UF and FSU. The university plans to use the additional $5 million in state money to enhance quality and move closer toward preeminent status. That’s the same strategy that has guided the university’s use of performance funding from the state over the past several years. Four years ago, the Legislature instituted performance funding, which awards additional revenue to state universities that meet quality standards in areas including graduation and retention rates, post-graduation employment, continuing education and others. This year, UCF was first among the state’s 12 public universities – its second first-place finish. UCF is the only institution to be in the top three every year the rankings have been in place. 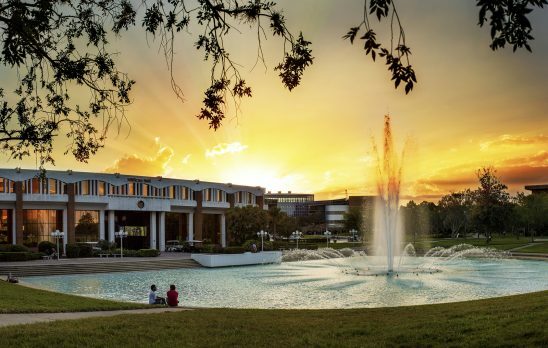 UCF has used most of that extra money to hire 200 additional tenured and tenure-track faculty members, and plans to use this year’s performance funds to add another 45. The university already has achieved seven of the 12 measures required to earn preeminent status, including national rankings, GPA and SAT scores, graduation rates, research spending, patents earned and doctoral degrees awarded. “UCF will remain diligent in building on the metrics we have reached. And we will use the emerging preeminence funding to help us attain full preeminence status,” Hitt said. Increasing freshman retention rate from the current 89.1 percent to 92 percent, exceeding the state threshold of 90 percent. Growing the number of National Academy members among UCF’s faculty. There are currently two, including one hired this year, and the goal is six by 2021. Boosting spending in science and engineering research from this year’s $170 million to at least $218 million in 2021, exceeding the state benchmark of $200 million. Increasing the number of post-doctoral appointees to 200 by 2021. There are now 68. Growing the university’s endowment to $500 million, a goal that Hitt said may take longer than five years. In a separate presentation, the Board of Governors also heard about best practices in 2+2 articulation, with the DirectConnect to UCF program serving as a model. Jeff Jones, UCF’s vice provost for Regional Campuses, explained how the program provides smooth transitions and timely degree completion for students who transfer to UCF after earning associate’s degrees from six partner state colleges. Jones explained how UCF and its partner state colleges are coordinating curriculum and degree programs to ensure transfer students are ready when they come to UCF, and how UCF faculty and staff are embedded at partner institutions. At the same time, DirectConnect to UCF is closing the achievement gap between traditional and transfer students.